Peck and Company lawyers, Mark Nohra and Michael Gismondi, successfully defended Mr. Nadarajah Mahendran on charges of human smuggling. On January 25th, 2017, Mr. Mahendran was found not guilty by a 12-person jury. 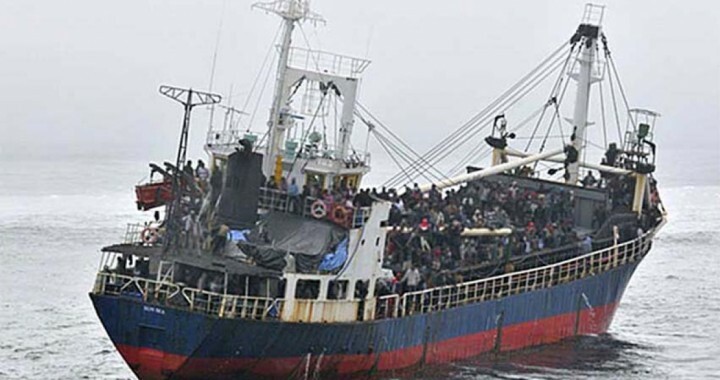 Mr. Nohra and Mr. Gismondi argued that the Crown had failed to prove that Mr. Mahendran was involved in organizing the voyage of the MV Sun Sea vessel, which carried 492 Tamil immigrants to Canada. Fleeing war-torn Sri Lanka, these migrants arrived to British Columbia’s coast in 2010. Since August of 2012, the lawyers at Peck and Company have worked diligently to defend Mr. Mahendran in this complex matter. Lead counsel, Mark Nohra, describes the victory as a just outcome reached by 12 citizens after a long, intense and challenging journey. Battling against a tremendous amount of government resources, the lawyers at Peck and Company were able to expose serious flaws in the Crown’s evidence, leading to Mr. Mahendran’s acquittal.